A massive thank you from me to everyone involved in supporting the launch. I was delighted to hear from PWS stalwarts that they had never experienced launches like this in the Design Centres, a mark of the quality and expertise you provided.. 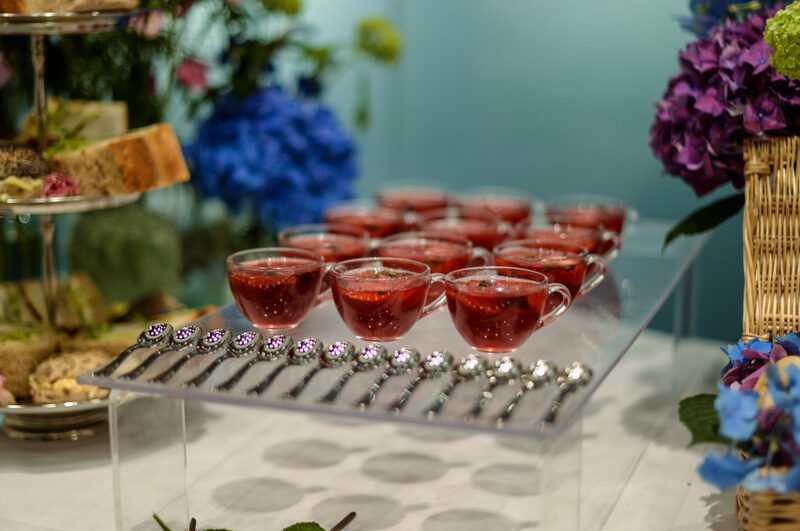 I hope you’ve managed to sneak out some of the social media coverage – the displays and food looked amazing. When Michaela from PWS Kitchens came to us with her brief for the latest product launch we were delighted. 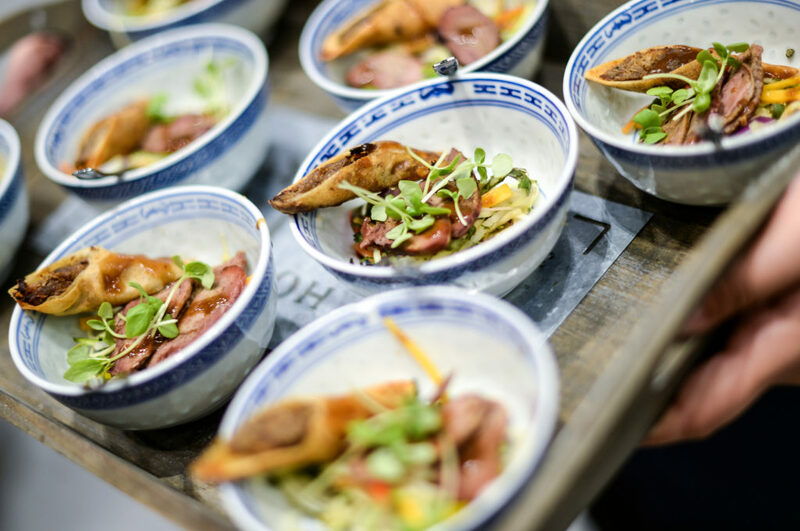 Having worked together for many years, this series of events for 1909 Kitchens across the UK allowed us to create some beautiful menus and displays to complement the backdrop of stunning kitchens. 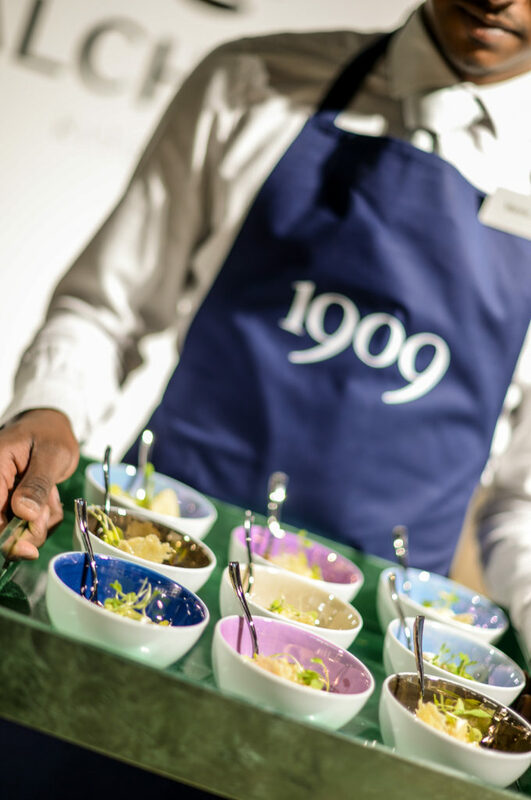 ‘The purpose of the 1909 events was a brand re-launch and opportunity to share new product development with the press and our customers. 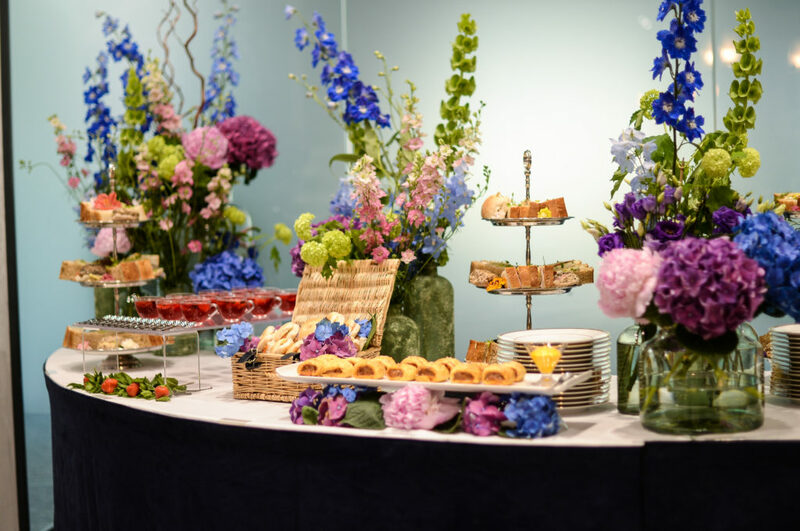 We chose Dine over any London Caterers as I have worked with Matt for a number of years now – the working relationship we have built is so strong I wouldn’t consider any other event company. I would not hesitate to use Dine again – in fact only two days ago I sent a request for quotes for three further events! 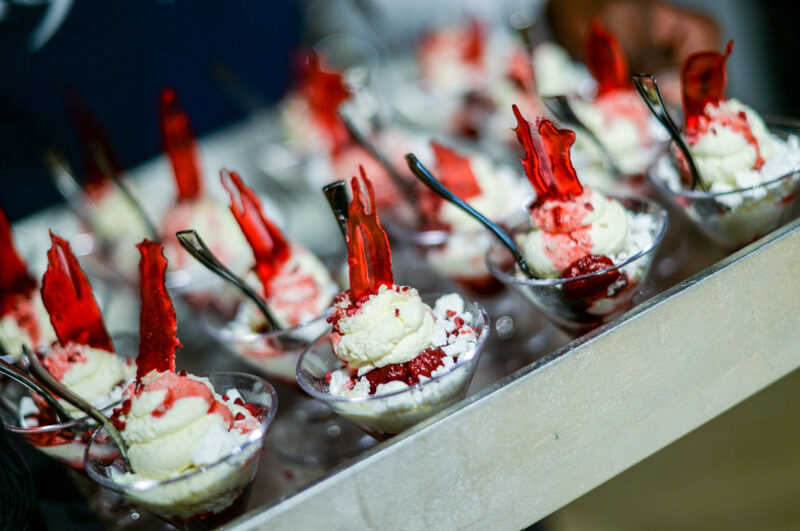 How we did it: We planned the menus carefully, ensuring they were colourful and were in keeping with the high quality kitchens that were being promoted. 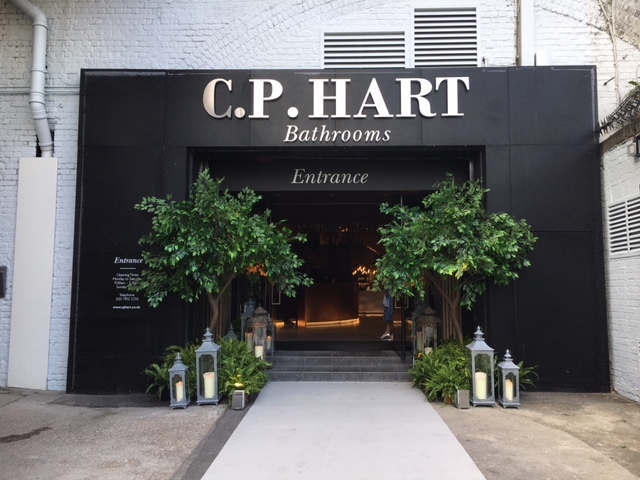 Design: After a site visit to the Lambeth Warehouse, our Event Managers worked with the client to walk through the space, ensuring that each area created a big impact. 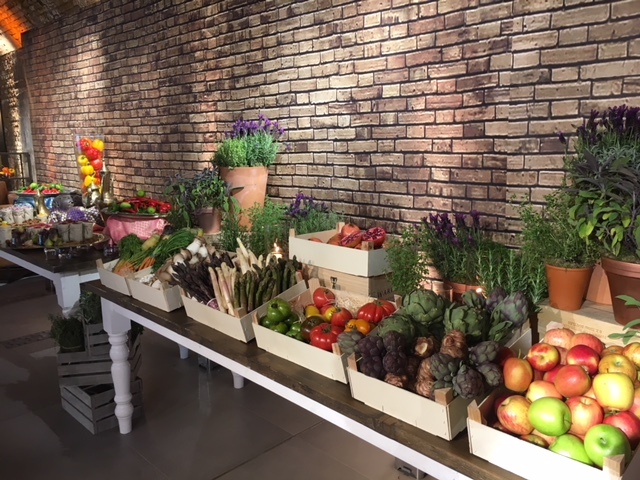 With food and floral displays designed to mirror a market set up, the content of each station was carefully planned, with mock ups using our equipment back in Leeds. 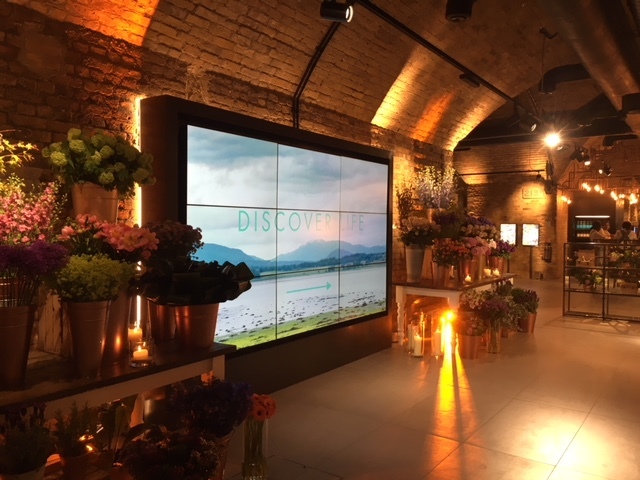 Co-ordination: We worked closely with our suppliers for both floristry (Twisted Willow) and lighting (AV Matrix) to create the perfect look for the client. 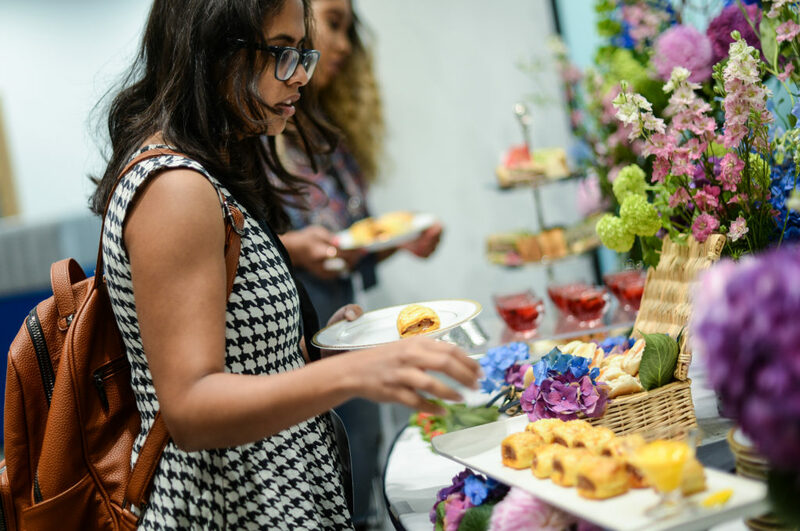 The Dine Difference: On this event we provided guest list management on the evening and distributed post event goodie bags for the client. We even sourced a specialist carpet firm who could carpet the concrete entrance! The Dine Difference: On this event we were able to transport the floral arrangements in our fridge van. This saved any unnecessary mileage and also ensured they stayed fresh in the heat.